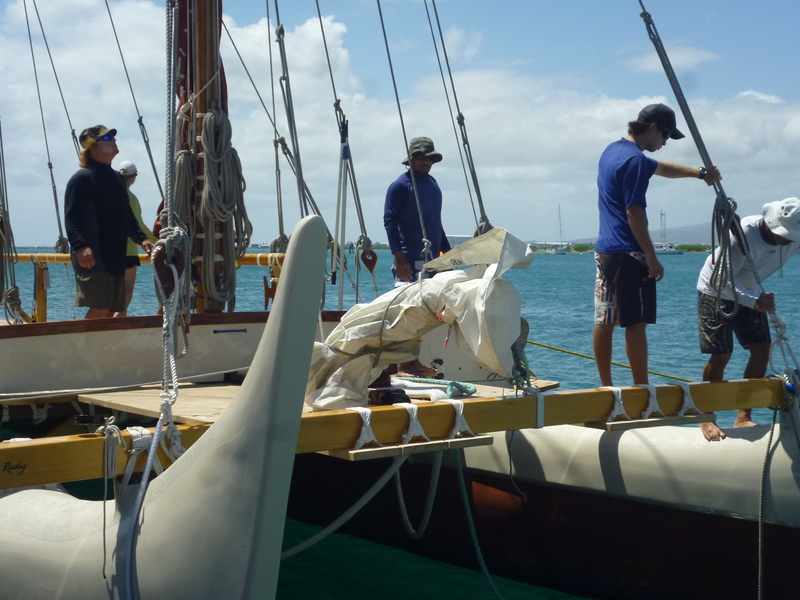 Murre departed Pokai Bay on March 18 for a short passage of but 25 miles to Honolulu. It was nothing to write home about. A lovely two hours of sailing on a broad reach below the lush canyons of Wainea followed by five hours of motoring dead into an easterly. That knuckle of land where the coast turns from trending south to due east I call Ship Point after the tanker that seems ever to be moored there, two miles off, and requires going around. Here is where the wind came hard on the nose. It took two hours to approach and finally pass the motionless hulk against which waves crashed as if she were a stretch of long, black cliffy coast. A crewman on the bow wearing an orange jump suit sat back and watched and Murre rose and fell and threw water like a shaking dog. It would be impossible to describe the patience required to sit at the wheel and take spray in the face for five hours as one’s charge, not charging on so much as plunge diving, averages speeds easily outmatched by the tottering old. Slowly the skyline of Honolulu came into focus; incrementaly slowly the buildings grew in stature. 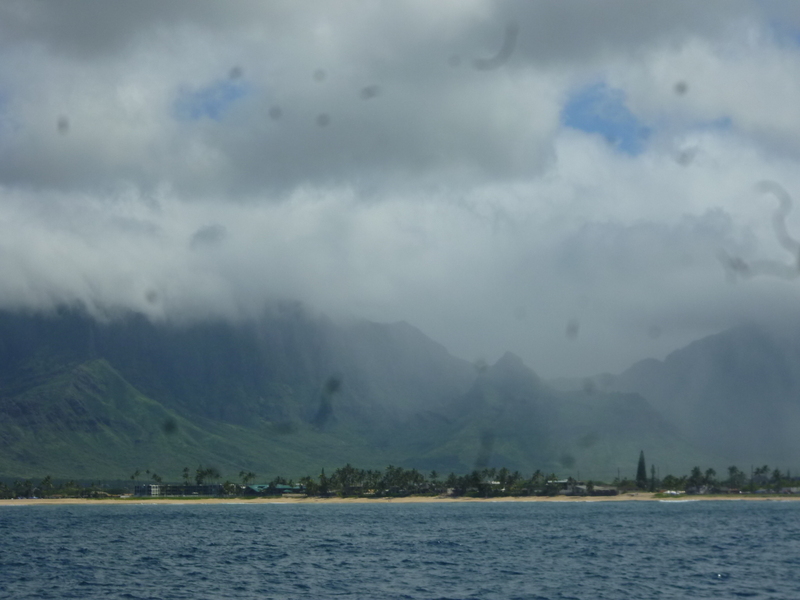 The expected lee of Diamond Head was no lee, and the wind only eased as we entered Ala Wai Harbor. As we entered our slip there was none. There is general scholarly consensus that Hawaii was settled by Polynesian peoples who set forth from the Marquesas Islands around the time of Christ in large, twin hulled, voyaging canoes. The impetus for these voyages range from the related reasons of overpopulation, famine, and power struggles. But consensus stops there as one school of thought holds that Hawaii was discovered by trial and error (with the repeated loss of life this method implies) and the other that ancient Polynesians were excellent navigators and could transit the Pacific at will. In the early 1970s this latter group formed the Polynesian Voyaging Society to test their theory. 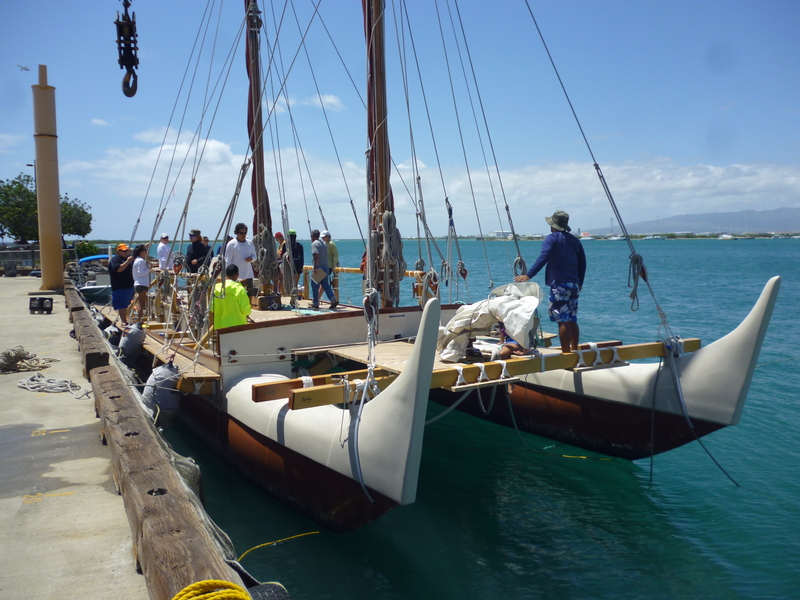 A replica canoe, the Hokule’a, was built and a Hawaiian who could navigate in the old way was sought. But none existed. 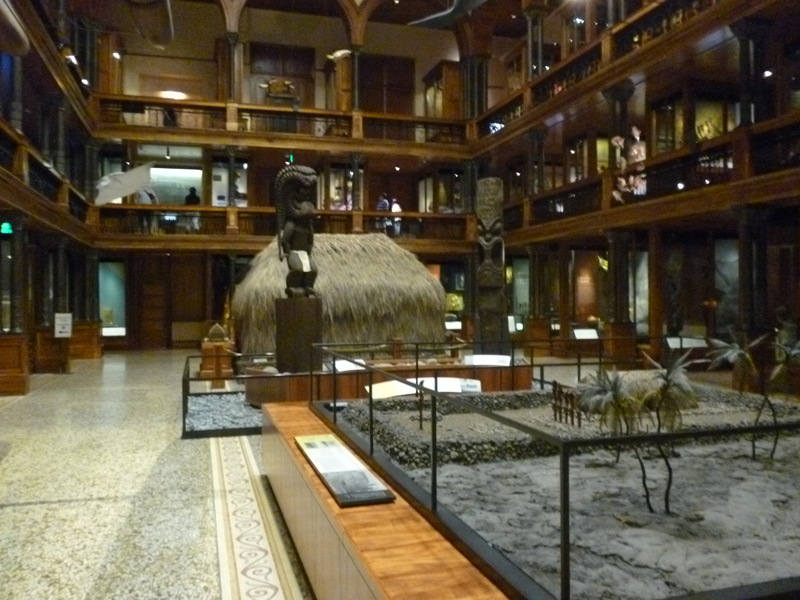 The art had been lost to Hawaiians. In fact, only one man in all of Polynesia was known to navigate by sea and stars alone. He was Mau Piailug (and here) from the Carolinian Island of Satawal. He was propositioned by the Society and agreed to the task, then brought to Honolulu where he learned the stars of this new area at the Bishop Museum planetarium. 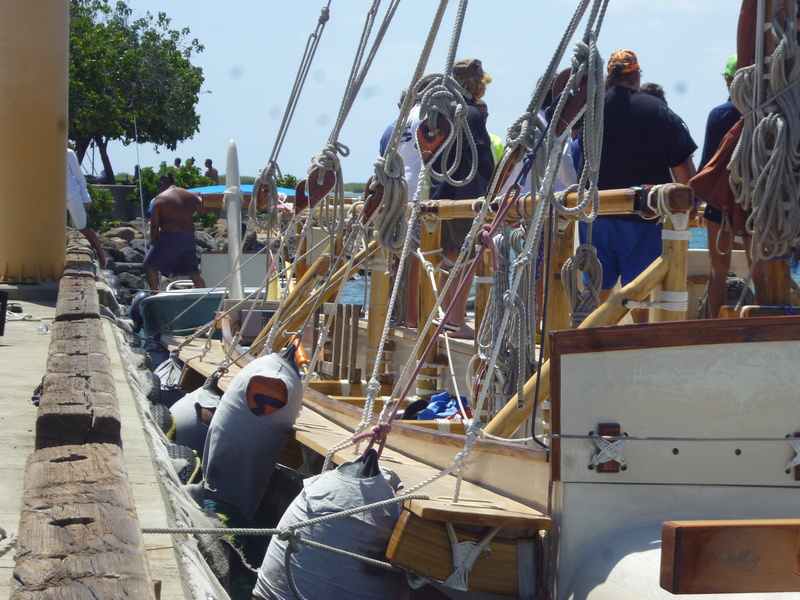 Aboard Hokule’a he and crew departed from Hawaii for Tahiti on May 1, 1976 and arrived safely a month later, having sailed from one small spot of land to another over 2600 miles of open ocean. No navigational aids were used but stars, sea, wind and the occasional bird; no technology but that in Mau’s head. 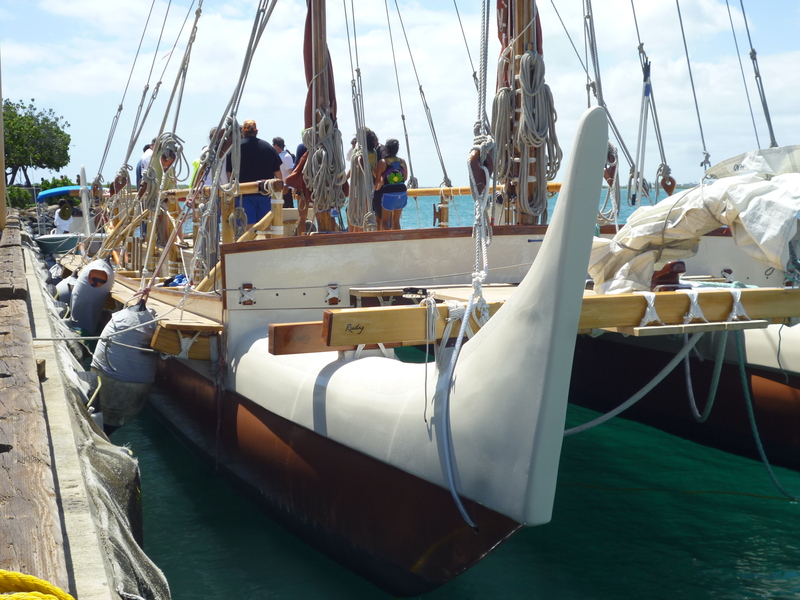 Nainoa Thompson, a young Hawaiian crew member on that voyage, watched Mau with awe and vowed to return this ancient art to his people. He spent months in the Bishop Museum planetarium learning the night sky, memorizing hundreds of stars for the north/south transit. Then Mau returned to Hawaii to tutor young Nainoa on using these stars for position and course. 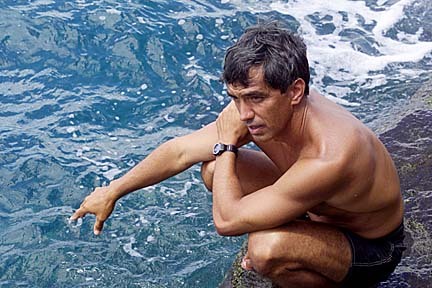 In 1980 Nainoa successfully navigated Hokule’a to Tahiti and back based on a system blending Mau’s techniques and that of his own devising. He was soft-spoken, at least. 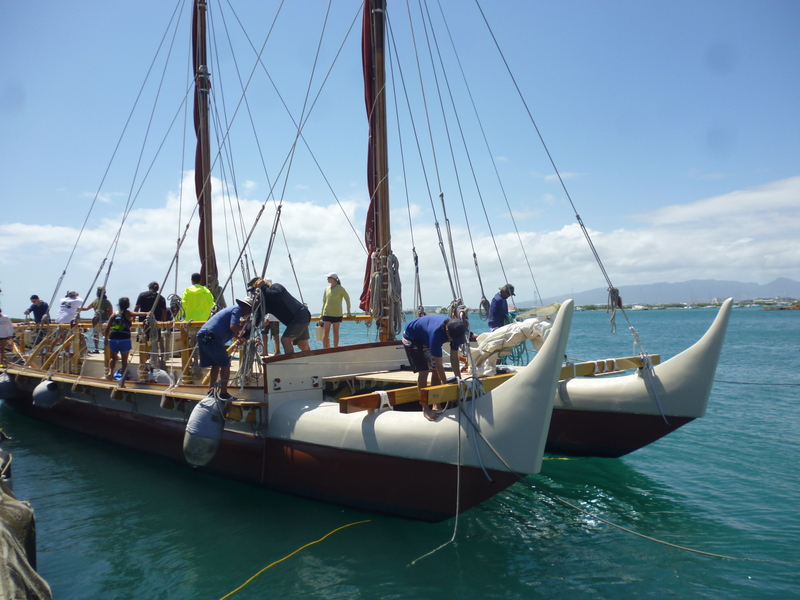 Nainoa moved about the decks of Hokule’a the day I met Kai. He was slender. He moved slowly, with intent, giving instruction softly to one crew member, patting the next on the back. He was now mid-fifties and greying. Not the canoe’s captain but more senior, in charge of not just the boat but the project, the heritage. 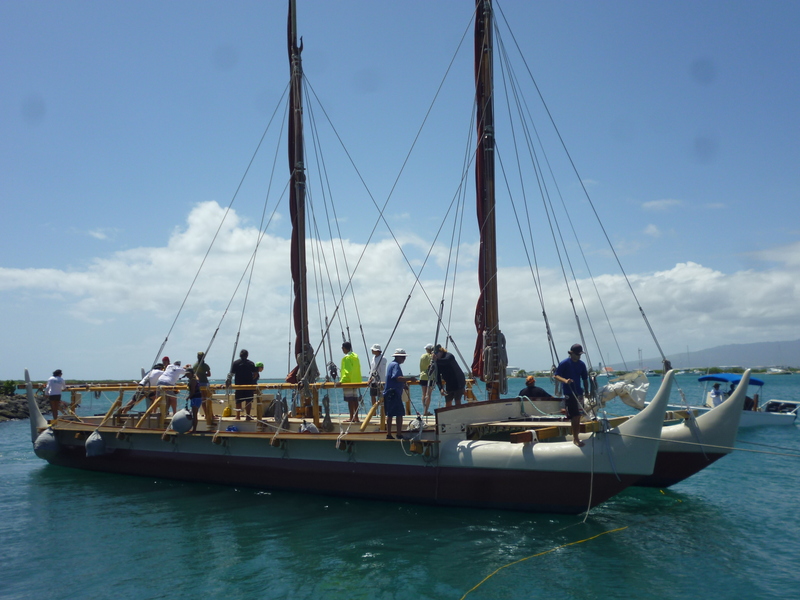 The Hokule’a began to warp out for a practice sail and Kai jumped aboard. “Kai, I’d love to join. Do you need crew today?” I asked.